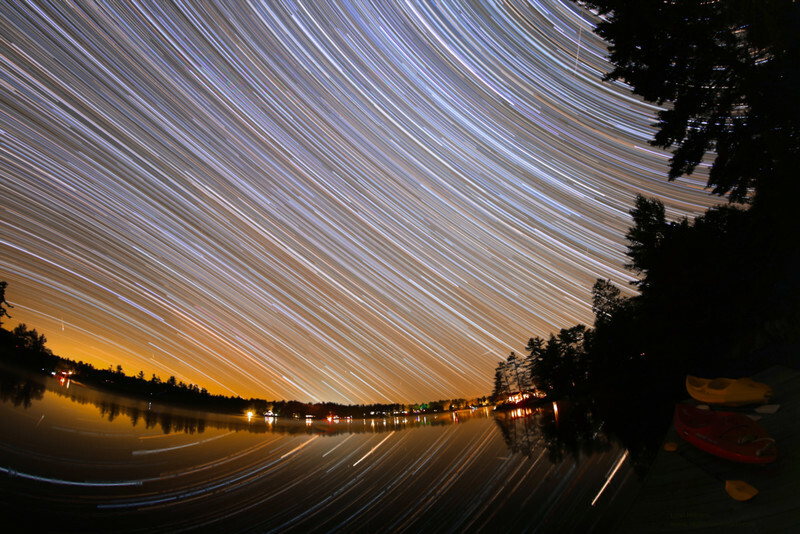 Meteors and Star Trails over Gravenhurst. 4 hours of total exposure, Canon 6d and 12mm Rokinon lens at f2.8 1600 ISO. Taken by Lynn Hilborn, near Gravenhurst on August 12/13, 2015.